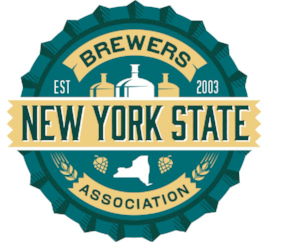 Rochester, NY -- August 1, 2018 -- New York State Brewers Association is proud to announce the winners of the 2nd annual New York State Craft Beer Competition and Governor’s Excelsior Cup. The Thruway Authority and the New York State Department of Agriculture and Markets today encouraged farmers across New York State to sign up to showcase their products at Thruway Service Areas this season. For nearly 20 years, New York State has been committed to featuring some of its finest vendors and their products at these locations. From locally grown fruits and vegetables to some of the most superb cheese and herbs in the northeast, promoting these products to travelers continues to be a priority. NEW YORK - April 16, 2018 – New York State’s craft beverage industry is experiencing unprecedented growth, with unique and imaginative offerings being produced statewide. New York State now has more than 400 breweries alone, the highest number since 1876. Nationwide, New York State ranks first for number of hard cider producers, second in craft distillers, third in breweries and fourth in wineries. Capitalizing on the growing interest, craft beverage producers are building tasting rooms and offering tours, inviting the public to visit their operations and sample their beverages. Governor Andrew M. Cuomo today announced the conclusion of the Taste NY Inaugural Craft Beer Challenge. Brewery Ommegang from Cooperstown and Roscoe NY Beer Co. from Roscoe were declared the winners in a tie following a blind taste test featuring the five breweries that received the most online votes in the challenge: Brewery Ommegang in Cooperstown, Genesee Brewing Company in Rochester, Prison City Pub and Brewery in Auburn, The Roscoe NY Beer Co. in Roscoe, and Southern Tier Brewing Company in Lakewood. Governor Andrew M. Cuomo today announced the five finalists in the Taste NY Inaugural Craft Beer Challenge. The finalists are invited to attend the final blind tasting event in New York City on May 17, which will be hosted and judged by Governor Cuomo and a panel of expert judges.